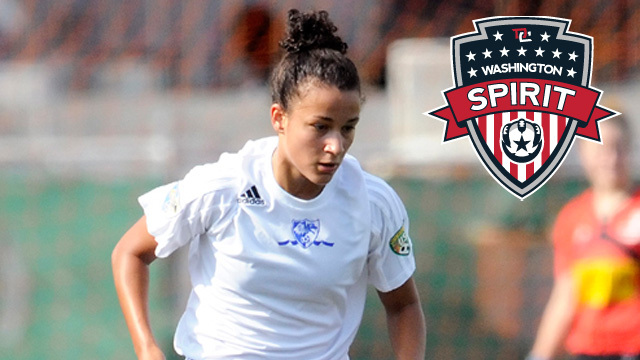 Germantown, MD (February 12) – The Washington Spirit announced today the signing of 23-year-old defender Kika Toulouse, who returns home to the Washington area after a season playing professionally in Sweden for the Ragsveds IF. A recent graduate from the U.S. U-23 Women’s National Team, Toulouse attended the University of Virginia, adding further to the line of local players signed by the Spirit. Toulouse had a very successful local youth soccer career playing for Bishop O’Connell High School (3-time WCAC Champions) and winning six Virginia State Cup Championships with two different Braddock Road Club (BRYC) teams. She started her youth soccer playing with the Arlington Soccer Association. Earlier today, the Spirit announced their full season schedule, which includes the home opener on Saturday, April 20, against the Western New York Flash with reigning FIFA World Player of the Year Abby Wambach. The game is the first of four consecutive home contests after the Spirit open the season in Boston on April 14. Their first NWSL season concludes at home Sunday, August 18th against Sky Blue FC. Full schedule and ticket ordering is available here.